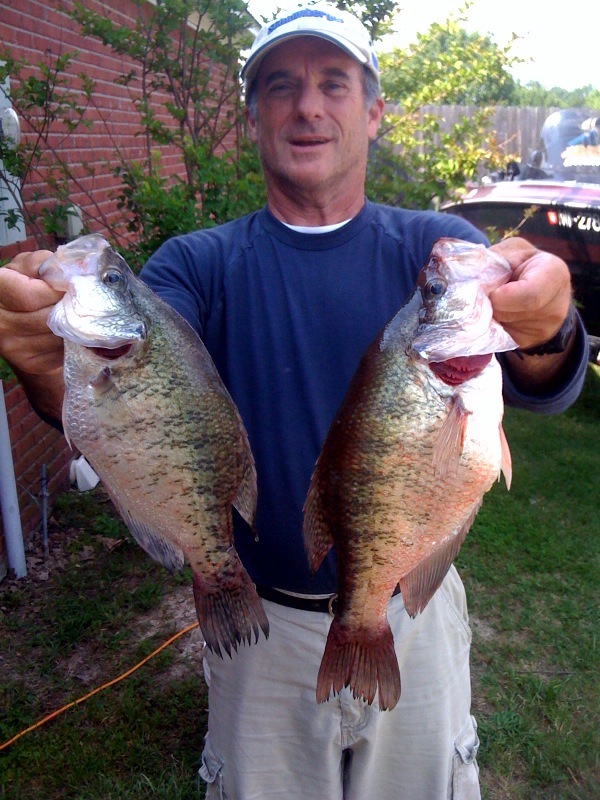 I have been crappie fishing a bunch lately. The results have not been what was expected. Hopefully the high water has delayed the spawn. Darren and I went yesterday and ended up with about 20. The two below were the best of the bunch!